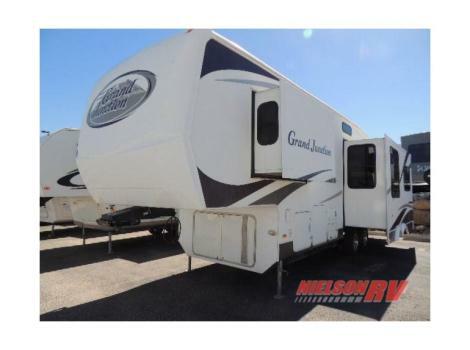 2008 Dutchmen RV Grand Junction 37QSL, Quad Slide, Rear Living Space, 2 Recliners, Hide-A-Bed Sofa & Ent. Center Slideouts, Overhead Cabinets, Refrigerator/Pantry w/Opt. Double Refrigerator & Free Standing Dinette Slideout, Double Kitchen Sink, 3 Burner Range, Neo-Angle Shower, Private Toilet Area, King Bed Slide, Washer/Dryer Prep, Closet w/Sliding Doors, Dresser/TV Overhead Cabinet & More. 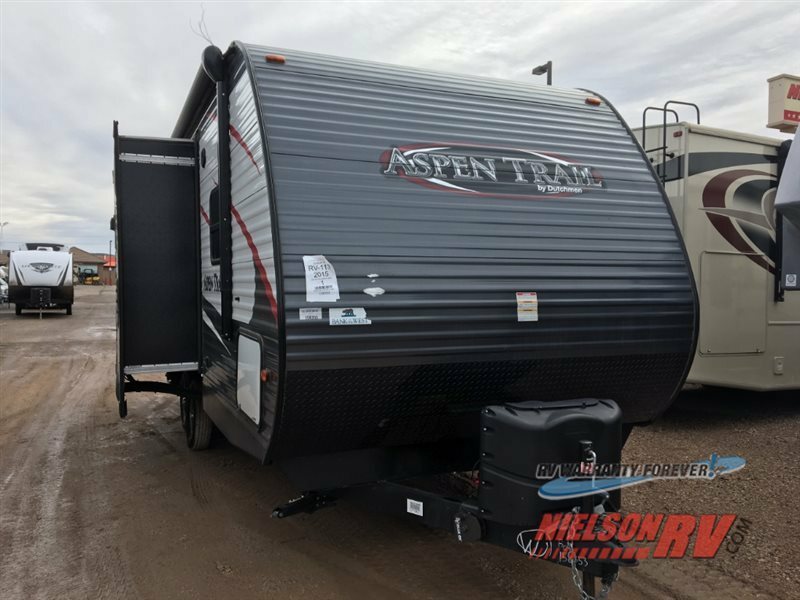 2015 Dutchmen RV Aspen Trail 2210RBS, This Dutchmen Aspen Trail 2210RBS features a spacious rear bath, a double slides.As you step inside, to the left you will find a large pantry. To the right of the entrance there is a slide with a three burner range, microwave, and refrigerator. 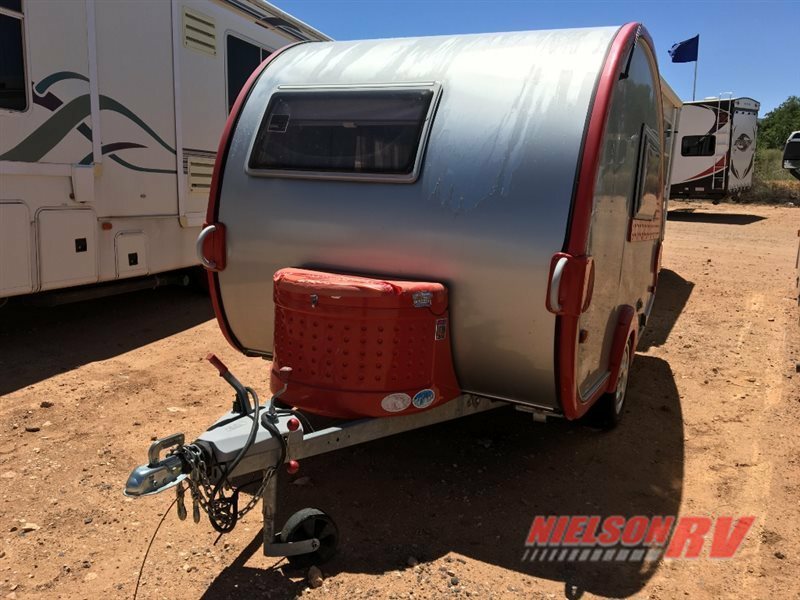 On the opposite side of the trailer you will find a slide with a u-dinette, and in the middle of the kitchen there is an island with a double kitchen sink. Be sure to notice the entertainment center which is located toward the front of the living area. Enjoy sleeping on the queen bed provided along with shirt closets on either side and an overhead cabinet above. 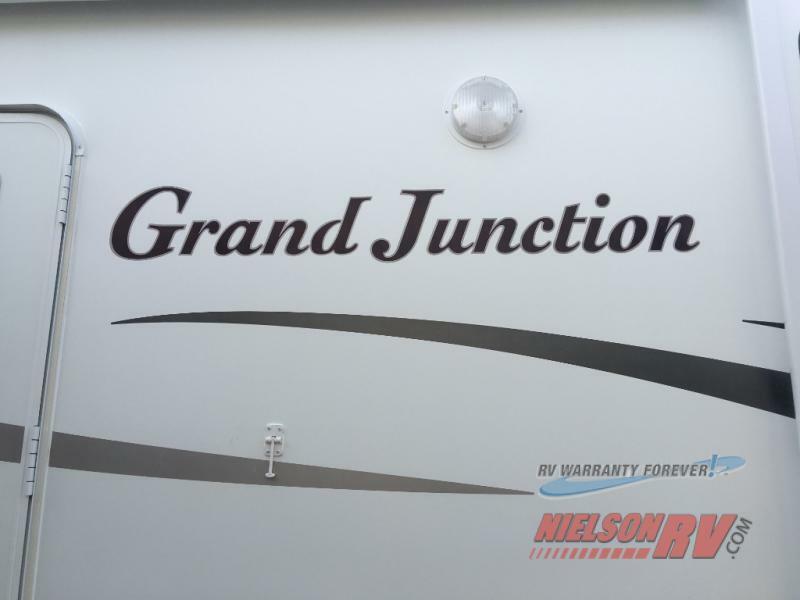 Located in the rear of the trailer is the bathroom. You will find a toilet, 32" radius shower, and sink inside the bathroom. 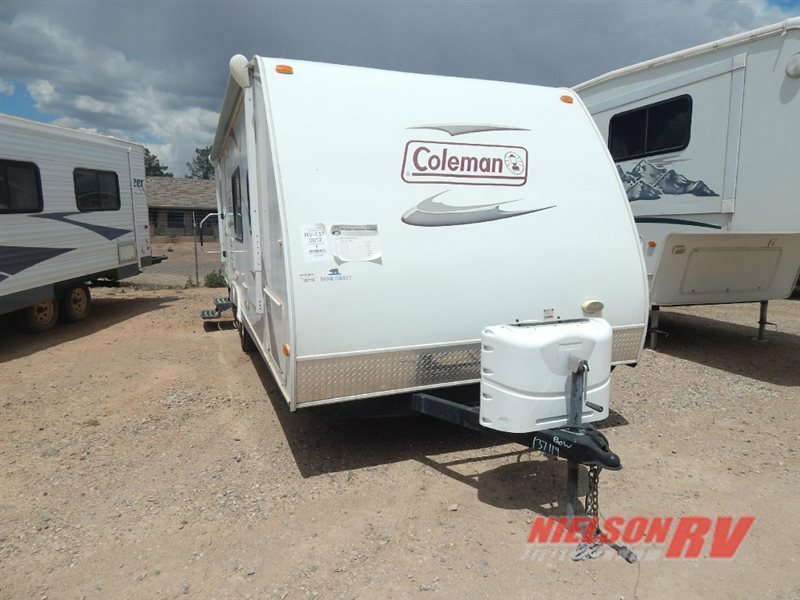 2014 Dutchmen RV Coleman Expedition CTS16BH LT, This Coleman Expedition LT travel trailer 16BH by Dutchmen features a bunkhouse for additional sleeping room and more. Step inside and find a large u-dinette with overhead cabinet in front. This provides plenty of room for dining, playing board games, or just hanging out. There is also a sofa with storage opposite the door, and kitchen amenities to the left as you step inside. There is a pantry, 2 burner cook-top, kitchen sink for easy cleanup, and a refrigerator and overhead microwave oven too. The rear corner features a set of bunks that the kids will surely love. The opposite corner features a bathroom with shower and toilet, plus a skylight for more natural light. 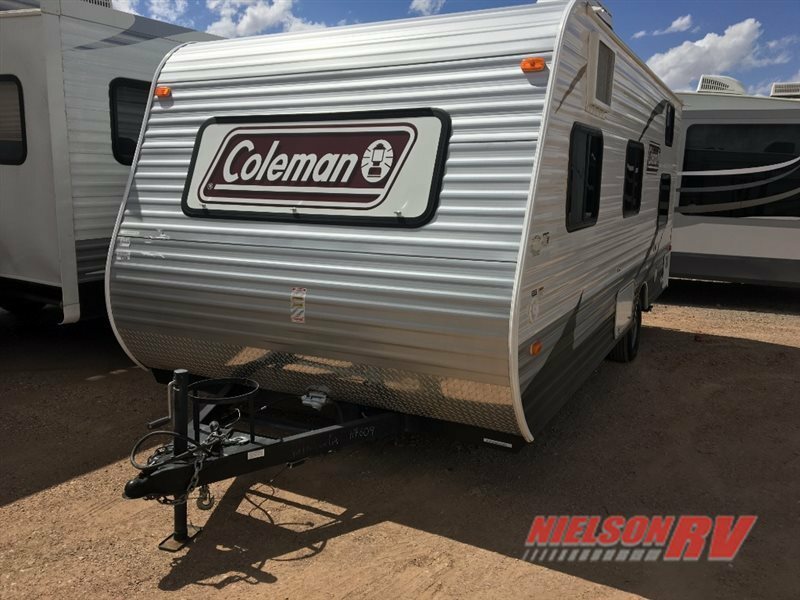 There is plenty of overhead storage throughout, and so much more!